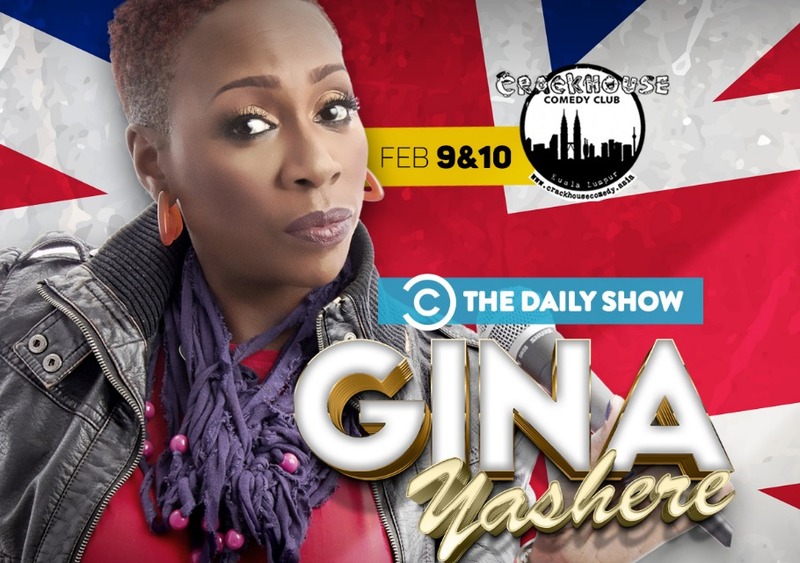 Gina Yashere has been a stand up and TV star in the UK for several years now. You may have recognized this force of nature as the British Correspondent for Trevor Noah's The Daily Show or even more recently, HBO's Crashing starring Pete Holmes. Gina broke onto the American comedy scene with her appearances on Last Comic Standing (NBC), where she made it to the final 10, and then never went home! She hails from London via Nigerian parents and shoots from the hip. Her unique take on being both a cultural insider and outsider never fails to raise the roof. Following an early career as a elevator engineer, Yashere made her comedy debut at the Edinburgh Festival in 1997. The show sold out almost immediately and overnight both audiences and critics were smitten. She is also known in the US for being the only British comedian to ever appear on the iconic Def Comedy Jam, as well as for her regular, hilarious appearances on The Tonight Show with Jay Leno as Madame Yashere, The Surly Psychic (NBC), The Nightly Show on Comedy Central, and her 1 hour Stand Up Special on Showtime, Skinny B*tch. 2. Seat allocations at venue discretion. 5. For student purchases, bring your Student ID with you and flash your card upon registration at the door. No card, no entry.